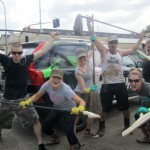 Last weekend members from the WICKED team joined over 55,000 volunteers that helped clean up Brisbane and surrounding areas. 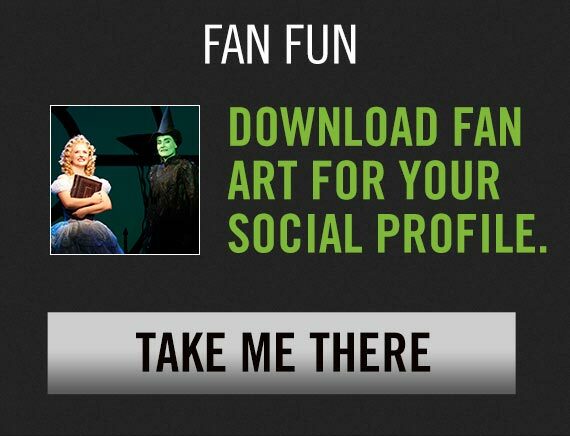 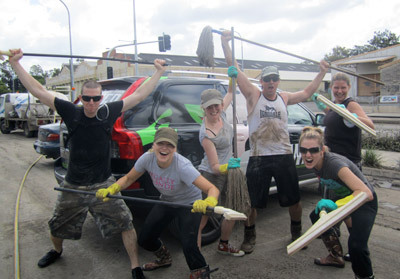 Rob Baker, Candice Wilson, Gretel Scarlett, Suzie Mathers, Cameron Flint and Alice Marklew from the WICKED team put their brooms to good use at the Queensland Theatre Company. 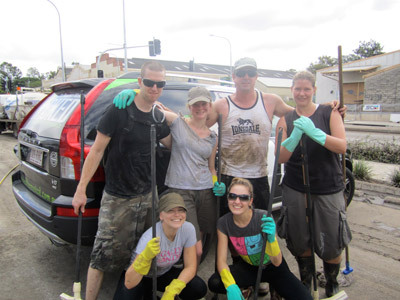 To join in the volunteer effort phone Volunteering Queensland on 1800 994 100 or see emergencyvolunteering.com.au.